Bread dough preparation can be rather time consuming and it make no sense just to set up a machine and knead a small quantity of dough. This is especially so for my stand mixer, Kenwood chef, kneading a small amount of dough is not only wasting electricity but also not efficient as the dough hook can barely touch the dough…Therefore, at times, I will prepare more bread dough, deep freeze it and thaw it when I want to use it. Besides this, if one is pleased with bread dough recipe, there is no reason to change recipe for every batches of bread or pizza prepared. 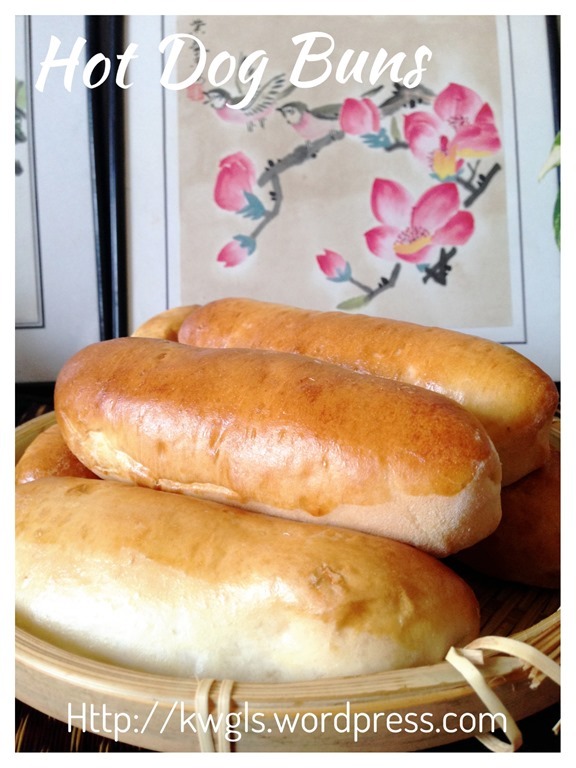 I would just stick to one of my favourite bread or pizza dough recipe, prepare more and used it for subsequent baking. 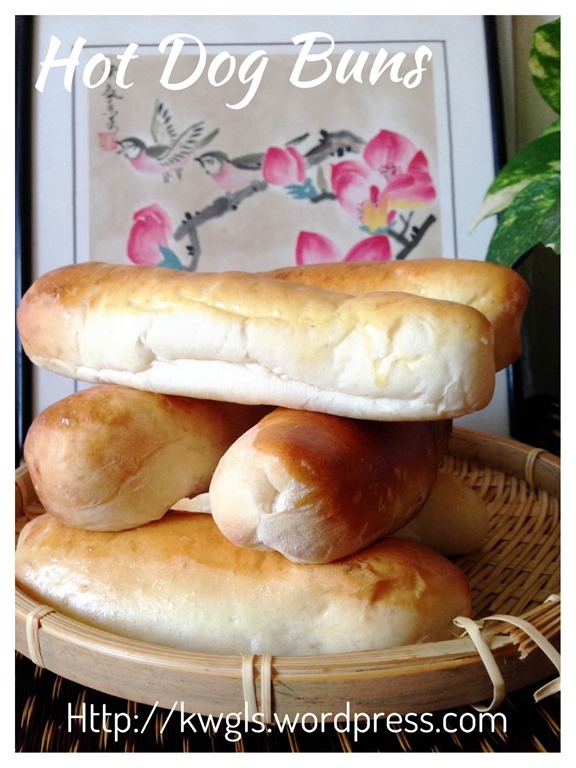 This post is intended to share with readers the way I freeze my dough or thaw my dough for bread making. 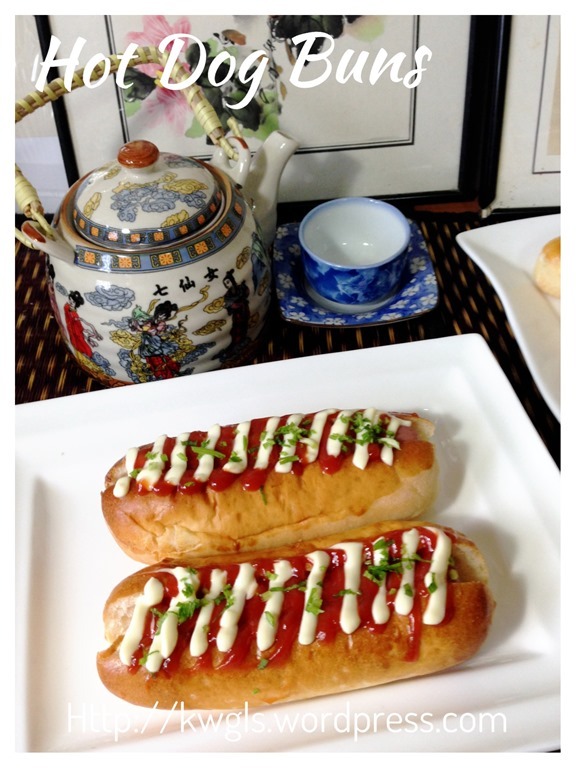 When I prepared my red bean flower sweet buns, I have deep froze half of my dough in the freezer and on the next day, I take out portion of the dough and prepare some simple hot dog buns . 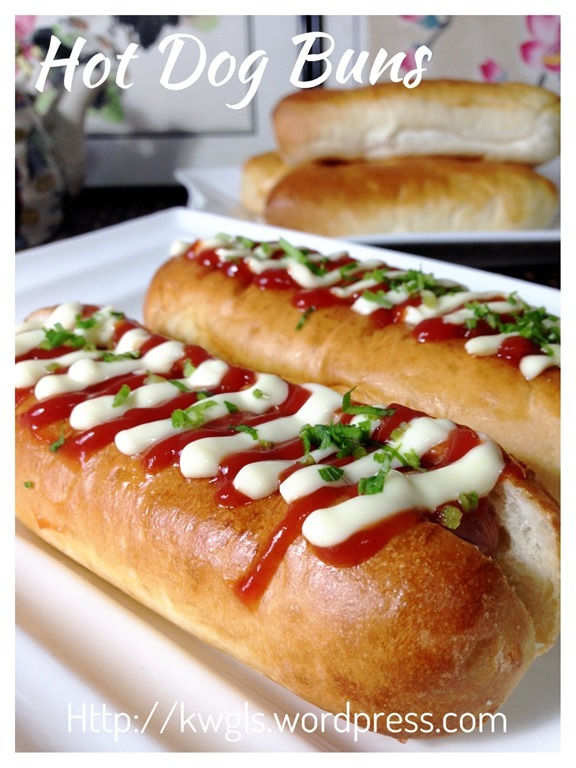 It took me about 1.5 hours to get ready these hot dog buns. Use a bit more yeast (say 50% more) to prepare the dough and this is to compensate for the yeast that may die off in the freezing process. Let the dough have its first proofing until double in size as usual and after first proofing, punch down and knead into the shape you want to keep in the refrigerator. 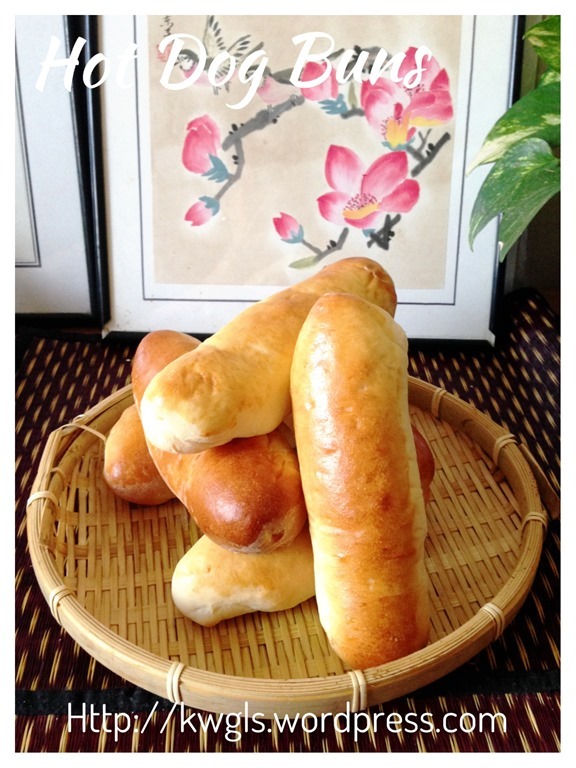 You can also shape the dough (say into loaves) before sending in to the refrigerator. 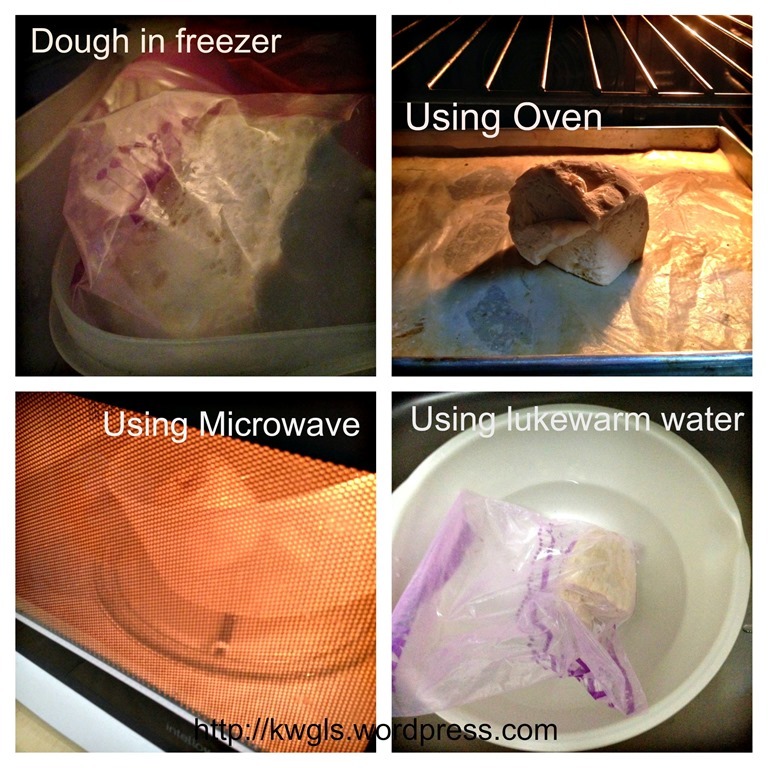 To thaw the frozen dough, take out one portion and let it thaw at room temperature. To expedite the thawing, you can put it in a plastic bag and drop in a bowl of lukewarm water. Alternatively, you can thaw in an oven with lowest temperature of about 30-40 degree Celsius （best to put a small bowl of water to conserve moisture). Selecting microwave defrost function will also help to expedite the process. 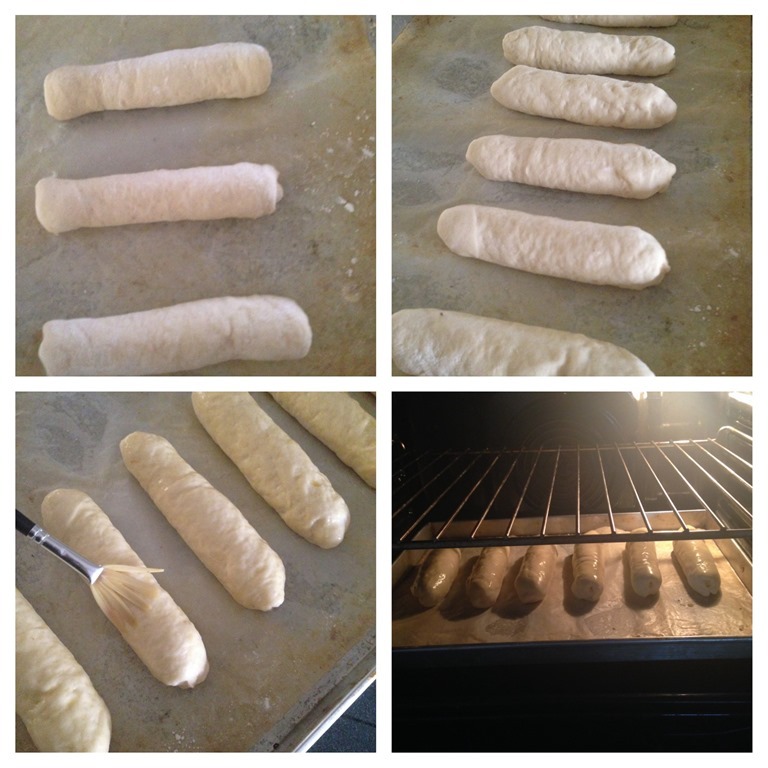 Once the dough is thawed (become soft) continue to the shaping and second proofing as the recipe requires. 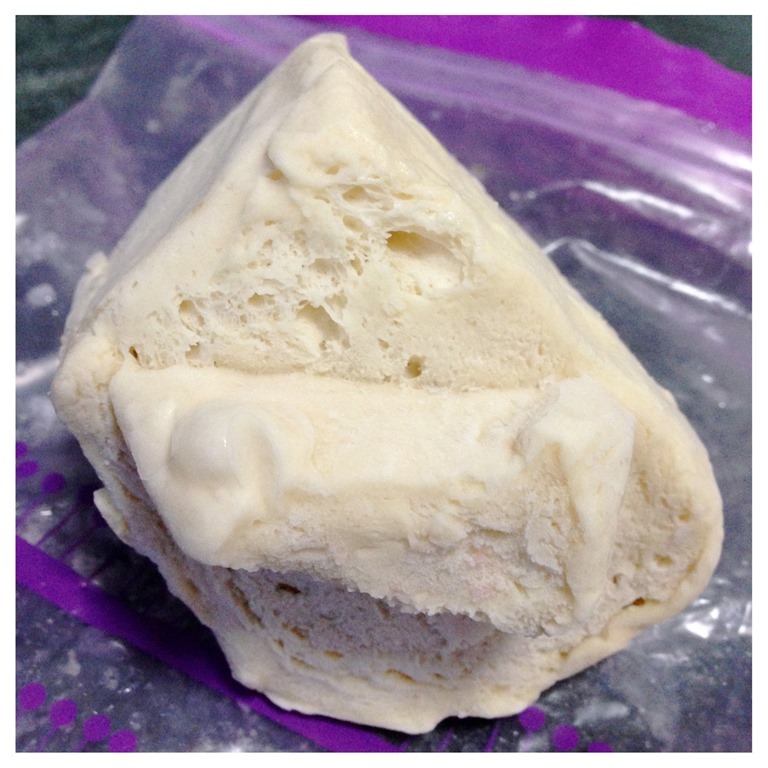 Take out the dough from the freezer and you can either defrost the dough in whole or cut into your desired sizes. In this illustration, I have cut my dough into 50 grams size and thaw the dough in the oven at 35 degree Celsius. As the size of the dough is very small, it took only 5-10 minutes for the thawing. You will know it is thawed when you touch the dough, the dough is soft. Once it is thawed, take one portion of the dough and put it in floured surface, use a rolling pin to roll it flat in a shape as rectangular as possible. Roll it up like rolling a Swiss roll . 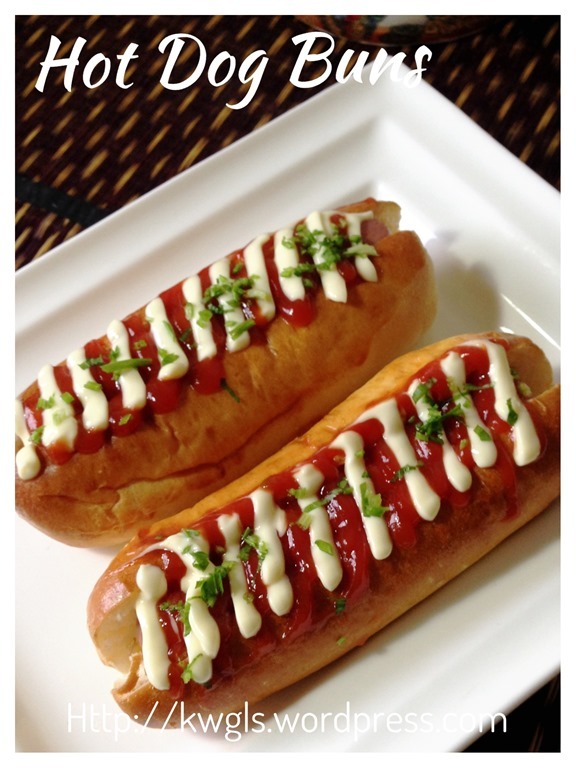 Length of the rectangular shape shall follow the length of your hot dog or chicken sausages. 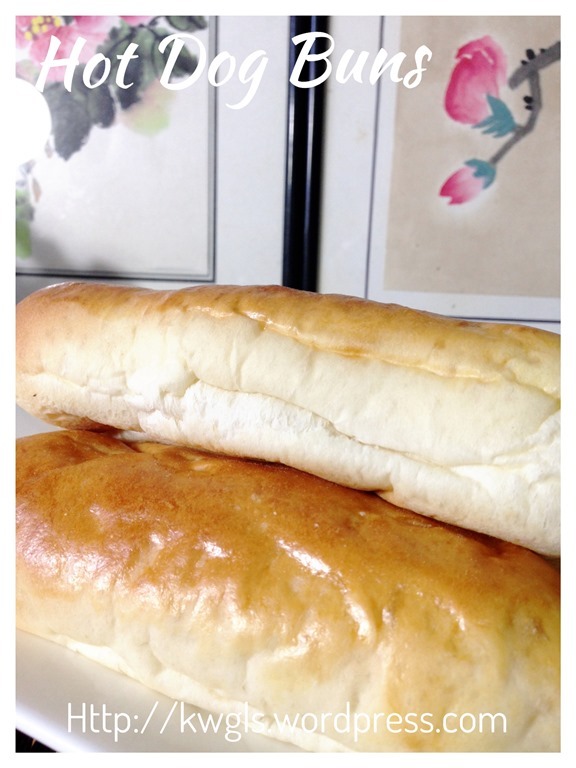 Let it proof until double in size, egg wash (one egg yolk with one tablespoon of milk and sift) the buns thoroughly before baking in the preheated oven of 190 degree Celsius for 12-13 minutes. 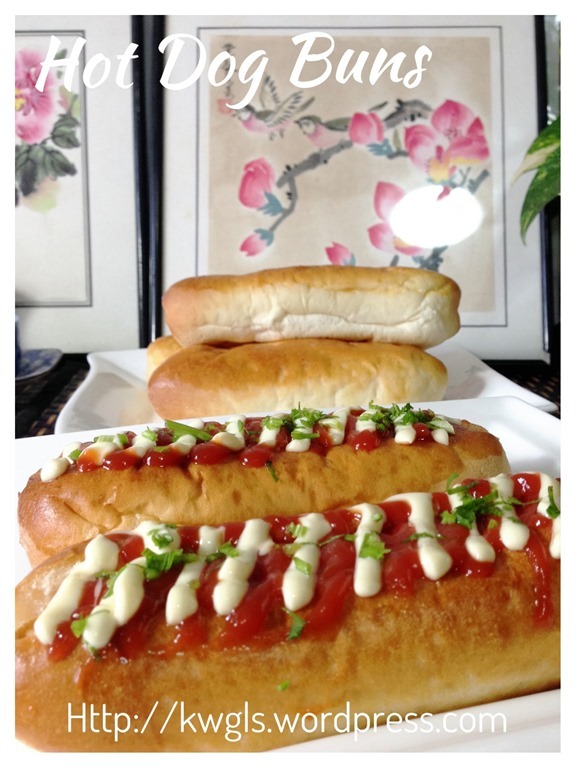 When the bun is completely cooled, cut the bun open, place a sausage or hot dog, drizzle with mayonnaise, tomato sauces or chilli sauces, sprinkle with chopped parsley and the hot dog bun is ready. 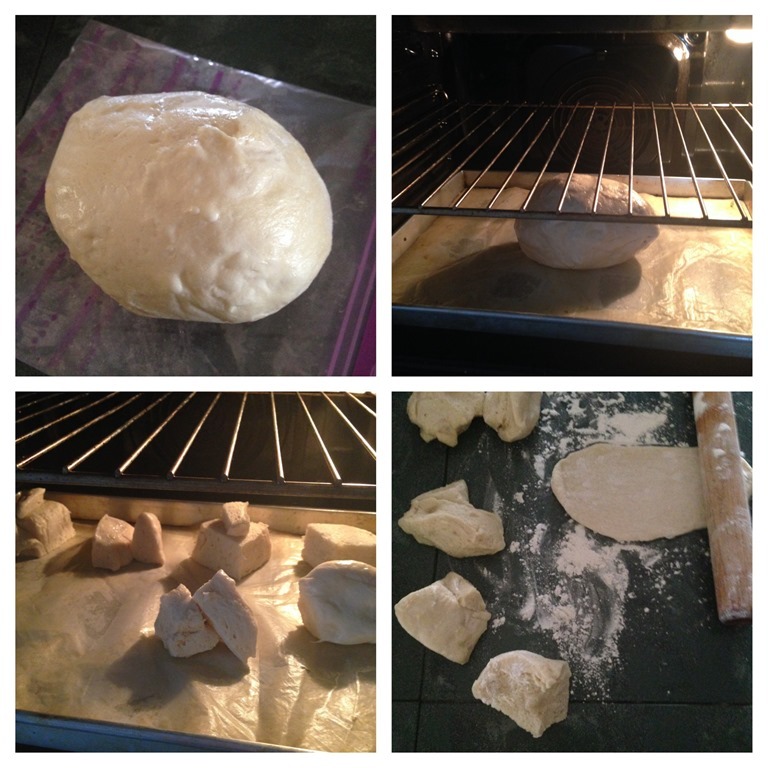 I hope that this post will give readers some idea as to the deep freezing and thawing of dough. This is also useful in unplanned circumstances when sudden urgent matters popped out and you can’t proceed with your bread making. 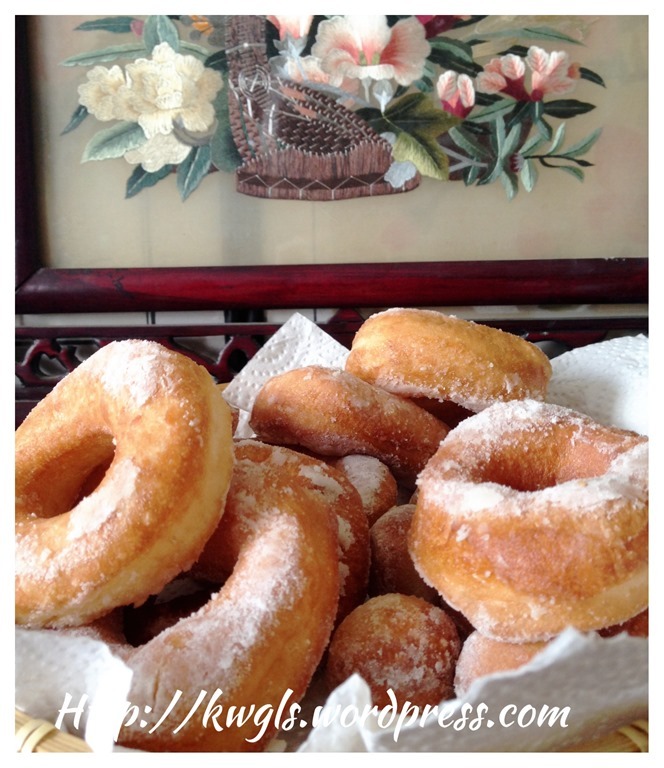 With the same bread dough that was left after preparing the hot dog buns and Red Bean Flower Sweet Buns, I have decided to use the remaining dough to prepare some simple donuts for breakfast today. 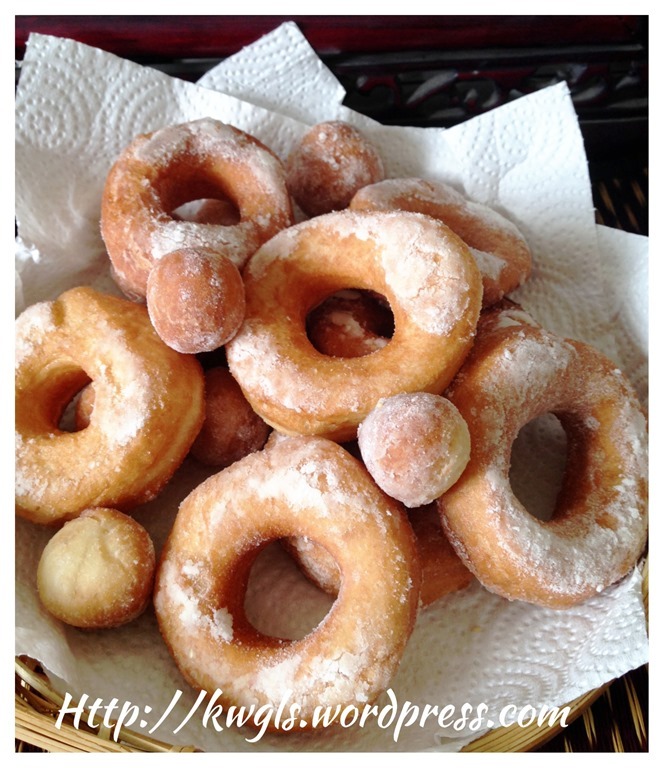 I just defrost the dough, cut into donut shape, proof until double in size and deep fried after I am deep frying other things. 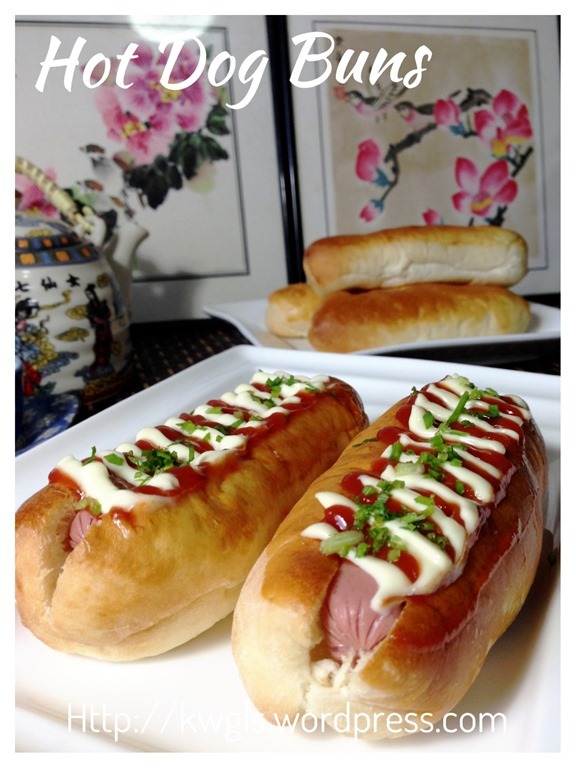 This entry was posted in Breads and Pizza, Food Preparation Series and tagged 8, 热狗面包, 解冻面团, freezing bread dough, GUAI SHU SHU, Guaishushu, Hot dog buns, kenneth goh, postaday, thawing bread dough, 冷冻面团. Bookmark the permalink. 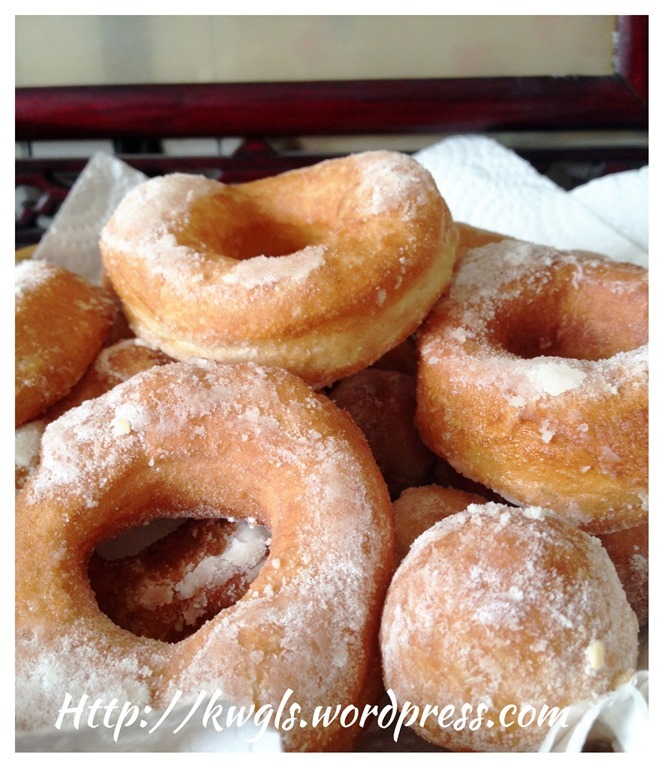 Great posting, good timing too as I have some frozen dough but no idea what to do with it. First of all, I think there is some typing error in your write up above. Under “steps of preparation”, the sentence “You will not it is thaw when you touched the dough, the dough is soft” doesn’t make sense to me. Seems to have some omission somewhere. Secondly, wouldn’t defrosting in the oven without some form of ‘protection’ dry up the dough and form an outer ‘skin’? Thirdly, I have just bought a kenwood chef mixer and wonder if you would share with me how you make the above dough in your mixer, like the speed and timing. The instruction says 1 minute on minimum and 5 minutes on speed 1. I don’t think that amount of kneading is enough. Thanks very much for your time and effort in providing so much information on cooking. 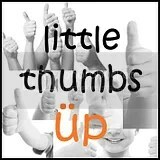 I really enjoy reading your posting everyday. Wow you are very efficient. A million thanks. 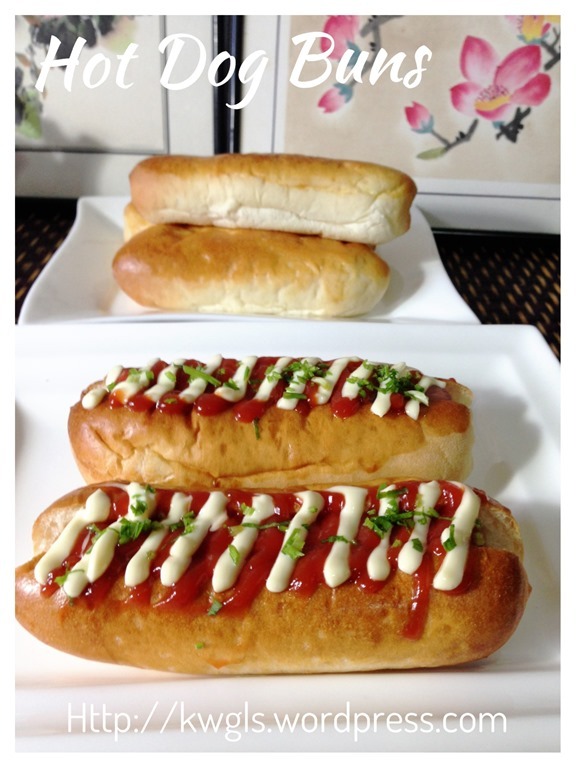 Hi kenneth, so just to clarify, this hotdog bun has only 2 proofings and then off to oven n bake after that? 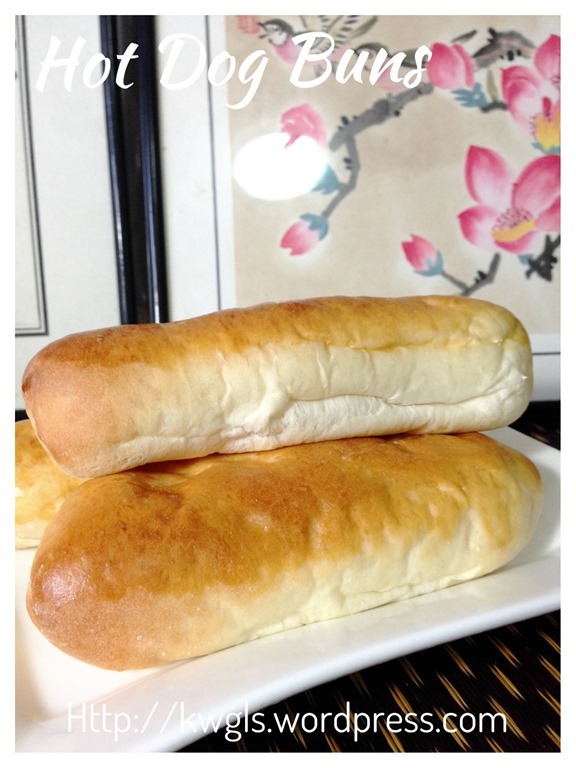 So if for other breads with fillings, do we need 3rd proofing? Instead of using butter, can I substitute it with oilve oil instead?